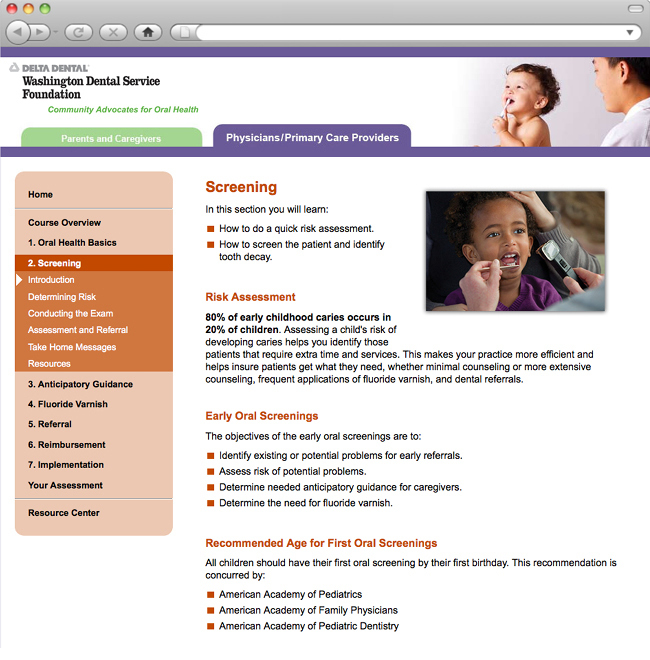 General practitioners who see children. 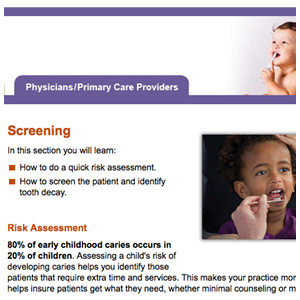 Parents of young children. 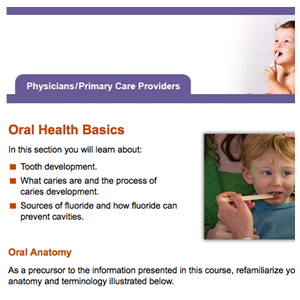 Train providers in oral health screening fluoride treatment. 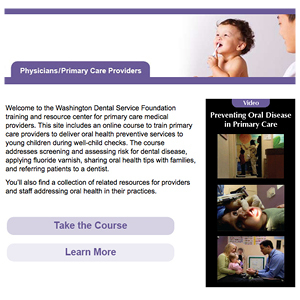 Promote positive oral health practices among parents. 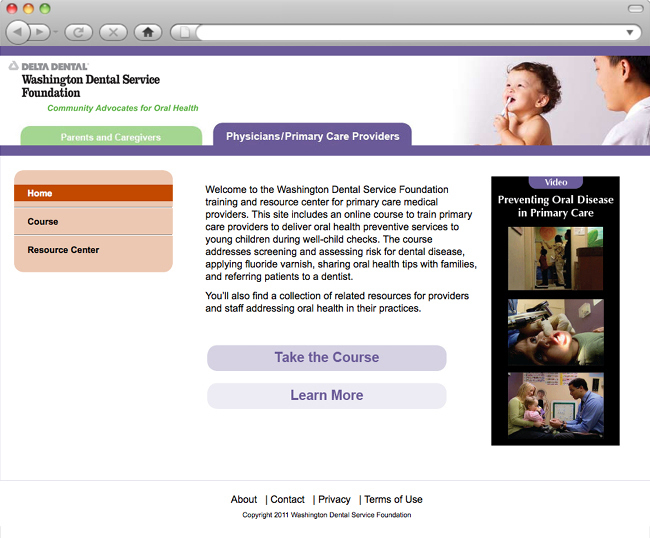 Web-based training program for providers. 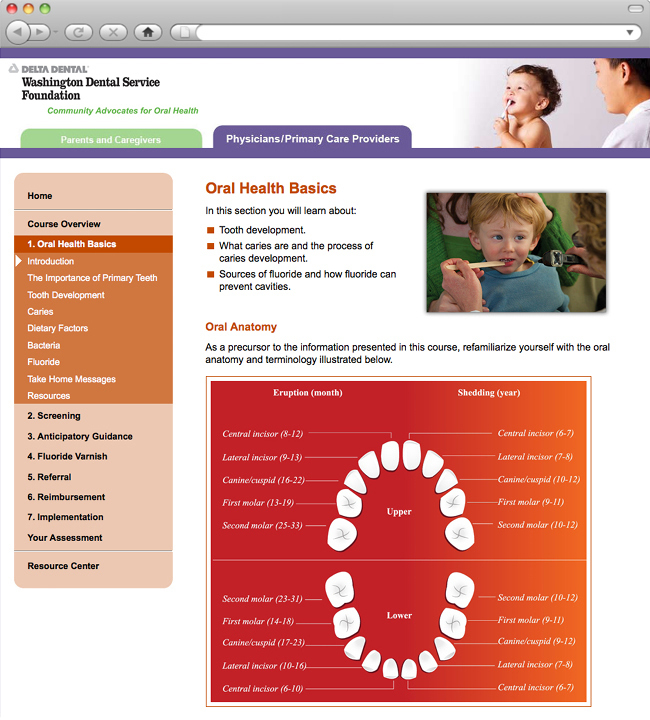 Oral health guide for parents.